A common misconception suggests that stale house odors occur in the room that holds the laundry hamper or the areas where teens hang out. In fact, it is common to walk into your home and be greeted by air that simply lacks freshness. Although there is not necessarily a bad smell, breathing in the air is unpleasant, and you feel self-conscious about inviting others into your home. You may have attempted odor control in the form of scented sprays, candles or plug-ins. While these deodorizers briefly added a very distinct smell to your home, they failed to remove the stale smell that permeates your space. In an effort to combat the staleness in other ways, you probably cleaned the home, washed fabrics, removed uneaten foods and dusted everything. Yet short of opening your windows every day for the time that you are home, you cannot keep the staleness at bay. In the winter, opening the windows is probably not a good option. Depending on where you are located in the country, it may also not be a good idea in the summer. 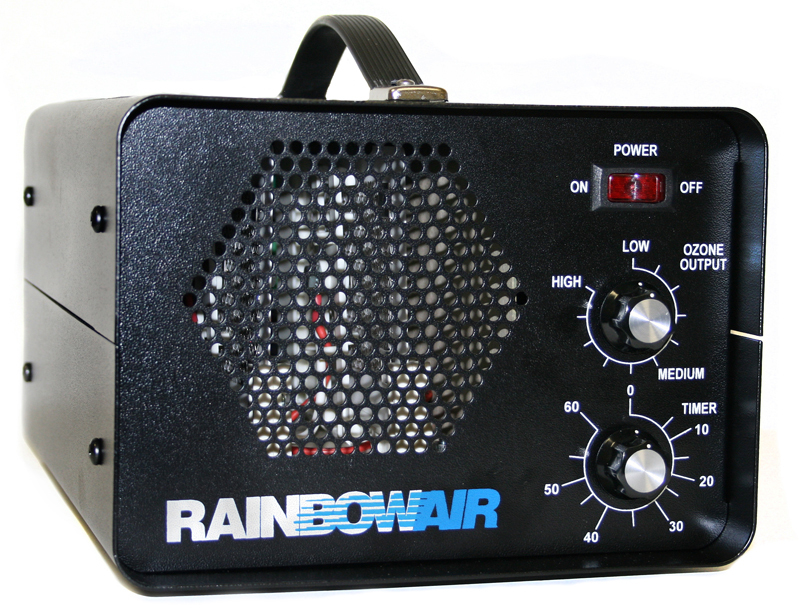 Investing in Rainbowair 500 Series II machine for odor control can turn around the problem that you are experiencing. This unit is a favorite of the hotel industry. It easily treats spaces of up to 5,000 square feet. Weighing only 12 pounds and providing you with a five-year warranty, this is the type of machine you can easily move and store as needed. With an output of 30 mg/hr to 500 mg/hr, you control whether you want the air to undergo cleansing during your absence or while at home. The success of the machine’s method is due to the use of ozone. Whereas deodorizes simply add a scent to an already unpleasant smell in an effort to briefly overpower it, the Rainbowair 500 Series II destroys the gases causing the stale smell at the root. Whether the odor-causing elements hide in the ceiling material, the carpeting or the inside of cabinets, ozone bonds with the odor-causing molecules and destroys them. The result of this odor control measure is the removal of stale air, not its cover up. In fact, breathing in after the machine has done its job will feel as though you had spent the entire day airing out the home – without opening even one window. Contact us today for more information on this and other units that control stale odors in your home or work environment. The investment in an ozone generator is the beginning of a practice to eliminate odor naturally. 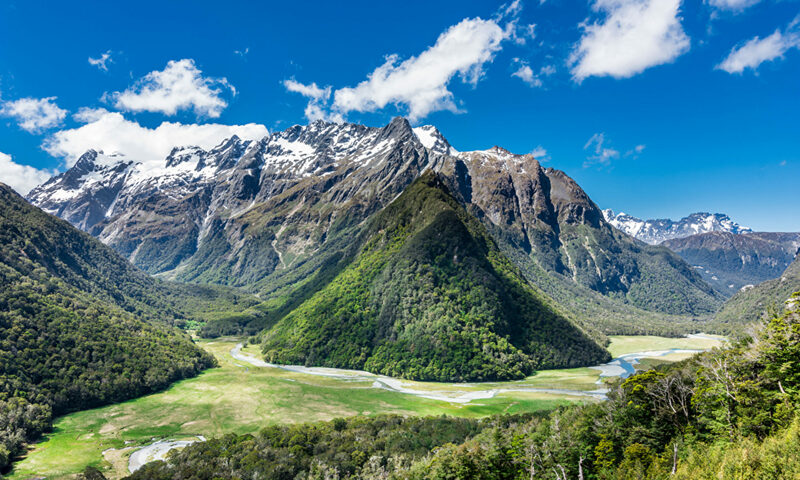 For homeowners who do not want to release noxious chemicals and heavily scented droplets into the air they breathe, this technology is the right choice. How do you know that this form of stink removal is a good option for you? Ozone removes odors at the molecular level. Unlike sprays that seek to combat one smell with another, ozone succeeds at getting rid of the contaminants that cause the smells. Ozone reacts with the molecules that cause a variety of odors and destroys them. Generators curtail dust. The typical ozone generator not only produces ozone but also ions that cause the particles making up dust in your home to clump together. Now heavier than air, the dust falls to the ground. Enjoy breathing cleaner air while simply vacuuming up the dust. Ozone is safe. The Food and Drug Administration agrees that typical ozone found in your home qualifies for the GRAS (generally recognized as safe) rating. In large quantities, this rating does not apply. If you can smell it, it is probably too much. You can adjust ozone levels. Maintaining a fresh air smell with ozone requires very low quantities. When you need to eliminate odor from today’s cooking experiment, the mold smell in the basement and the stink from the forgotten garbage in the garage, you probably need to increase the ozone level there. For particularly bad stinks, simply increase the ozone and leave the area for a bit. Broad range of products. You have options when shopping for an ozone generator. 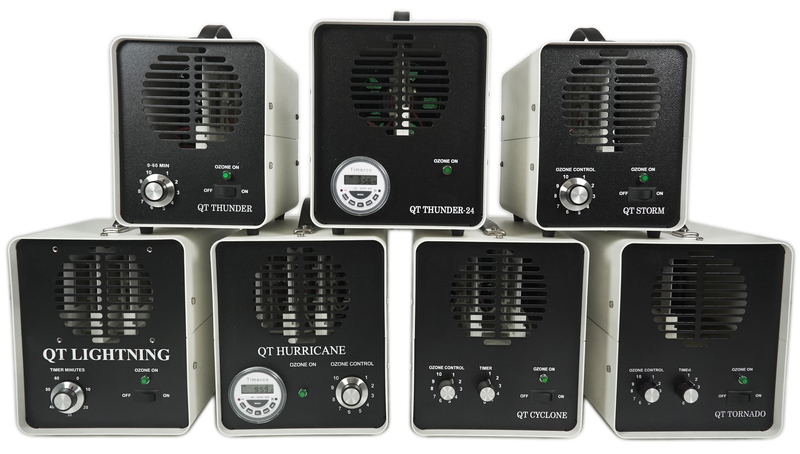 A QT Storm can treat up to 10,000 cubic feet and release between 3 mg of ozone per hour and 300 mg of ozone per hour. A Rainbowair 250 Series II machine treats spaces measuring up to 2,500 square feet and offers an ozone output of up to 250 mg per hour. A Newaire Plugin Series I model stays out of the way and treats rooms up to 500 square feet. When you are ready to learn more about how to select the right ozone generator for your home, contact us for information on the various models. As the Las Vegas Review-Journal article indirectly pointed out, people have slowly become more aware of conditions like fragrance sensitivity. And as that awareness has grown, more human resources departments are focusing on implementing fragrance free policies. The policies currently vary widely from firm to firm. However, many contain provisions that prohibit the use of fragranced products by all staff and promote the use of workplace air purifiers. Part of this newfound understanding may be traced back to the Americans with Disabilities Act, which was amended in 2008. After it was amended, some people started to consider fragrance sensitivity a disability. That, in turn, opened up uncharted territory that many firms were not prepared to deal with at the time. Consequently, a few people afflicted with the condition began suing employers that did not make accommodations for them. Some won their cases and others did not. So at the time, that only added to the confusion. Needless to say, those types of adverse events also prodded more businesses to err on the side of caution and meet the needs of scent sensitive individuals as best they could. Thankfully, businesses hoping to implement fragrance free policies of their own in 2014 have a lot more options to choose from than they did when the collective shift towards the new way of thinking began. 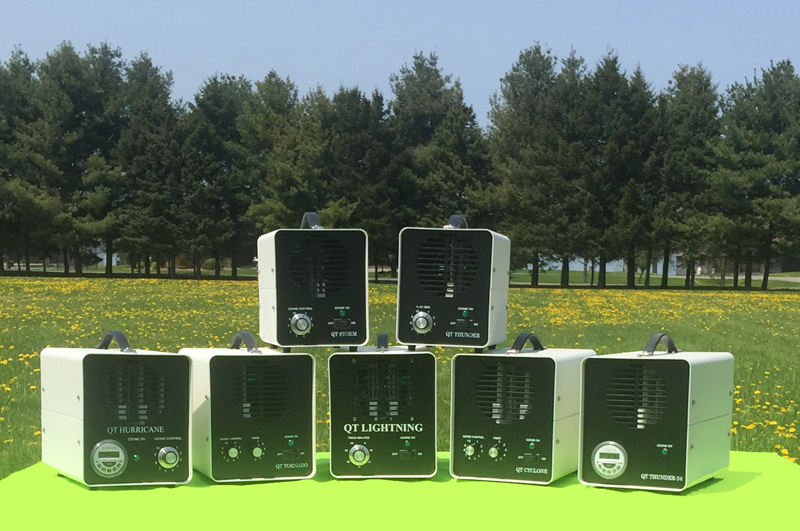 On that list of options are air purification systems such as Rainbowair Ozone Generators, Newaire Hydroxyl Generators and Plugin Deodorizers and Queenaire Ozone Generators. Slightly different in design but united in purpose, all three can remove irritating fragrances from the workplace and leave a comforting, clean air smell behind. To learn more about how they may help employers, please contact us by calling us toll free at (866) 676-9663.